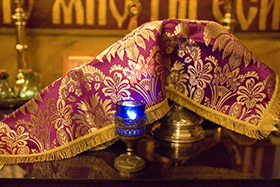 Tonight, March 13th, Father Iura will serve the Divine Liturgy of the Pre-sanctified Gifts at 7:00 p.m. 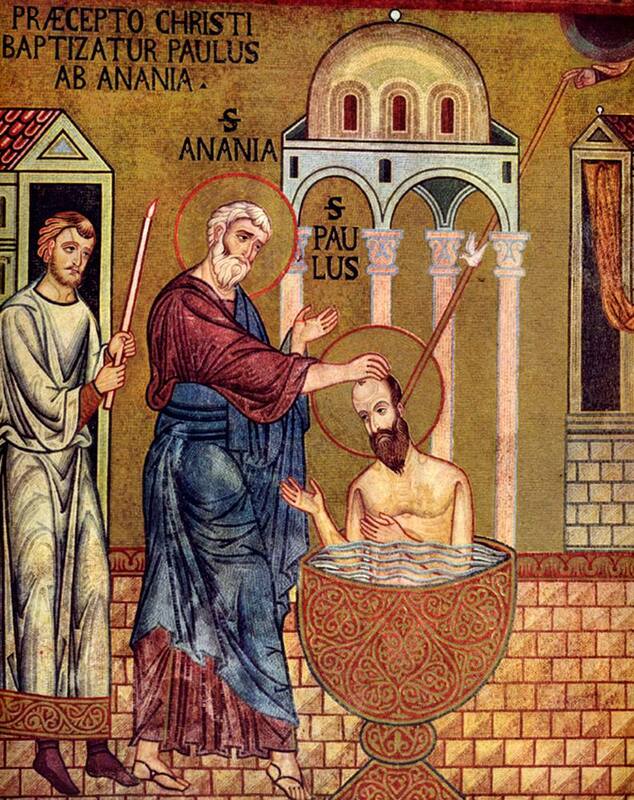 If you are looking for a way of getting into the spirituality of the Great Fast/Lent this is the Byzantine way to do it. 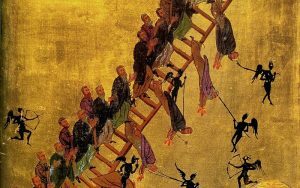 O my soul, you have left the heights of virtue and have gone down into the abyss of sin. You have fallen under the blows of the evil robbers, you are covered with wounds; but now cry out to Christ our God, who let himself be wounded and crucified for you: Come to my help, O Savior, and save me. Wounded by thieves of the soul, how miserable I am! O Lord, I am left half-dead. The rank of prophets passes me by, seeing me close to death, incurable through human knowledge, and in bitter suffering. 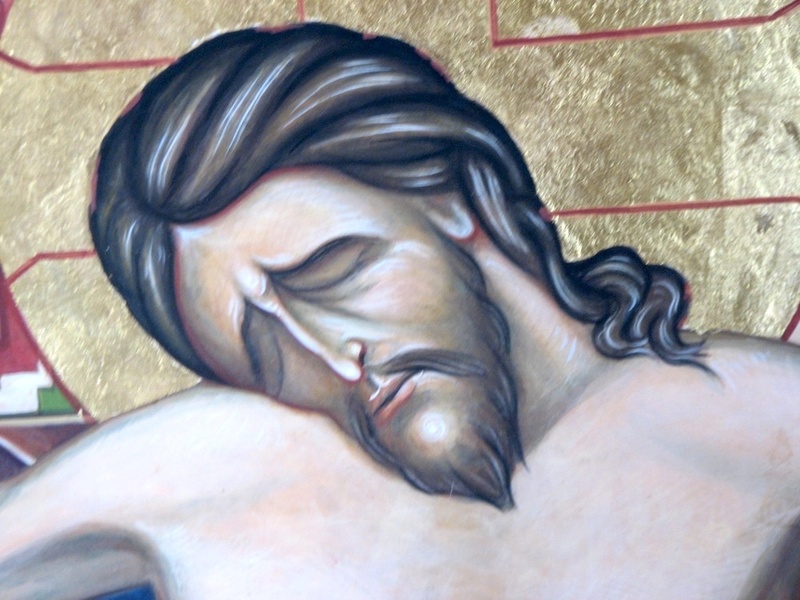 In the humility of my heart, I cry out to you: O Christ our God most merciful, anoint me with the oil of your mercy. Beaten in spirit and robbed of my mind, I fell among corruptible thieves, who steal away my power to think. My soul has been scourged, and I lie on the path of life stripped of all virtue. A priest sees that I suffer from incurable sores, but passes by without a second glance. A Levite, not wanting to share my deadly pain, looks down on me and also passes by. 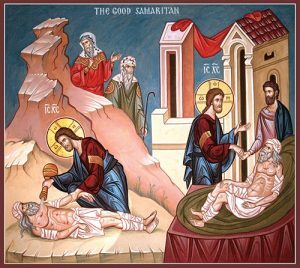 But you, O Christ our God, though born of Mary and not as a Samaritan, grant me healing because of your love for humankind, and pour out the riches of your mercy upon us. The first half of the Great Fast tells us the stories of Adam and Eve and their children, and the flood of Noah. It is a story of the creation of a perfect world and how that has been marred by human sin. It tells of the end of paradise, “The Lord God therefore banished him from the garden of Eden, to till the ground from which he had been taken. He expelled the man, stationing the cherubim and the fiery revolving sword east of the garden of Eden, to guard the way to the tree of life” (Genesis 3:23-24). 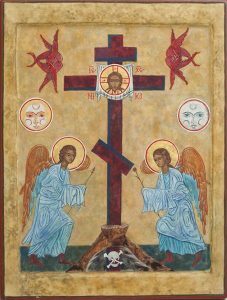 The tree of life, which Adam and Eve attempted to seize against the will of God, is the tree of the cross. And the fruit of this tree is the Body of Christ, which we receive in Holy Communion “for the forgiveness of sins and life everlasting.” We receive it together with his Holy Blood, “shed of the life of the world,” for today’s Gospel tells us, “Whoever wishes to come after me must deny himself, take up his cross, and follow me” (Mark 8:34). 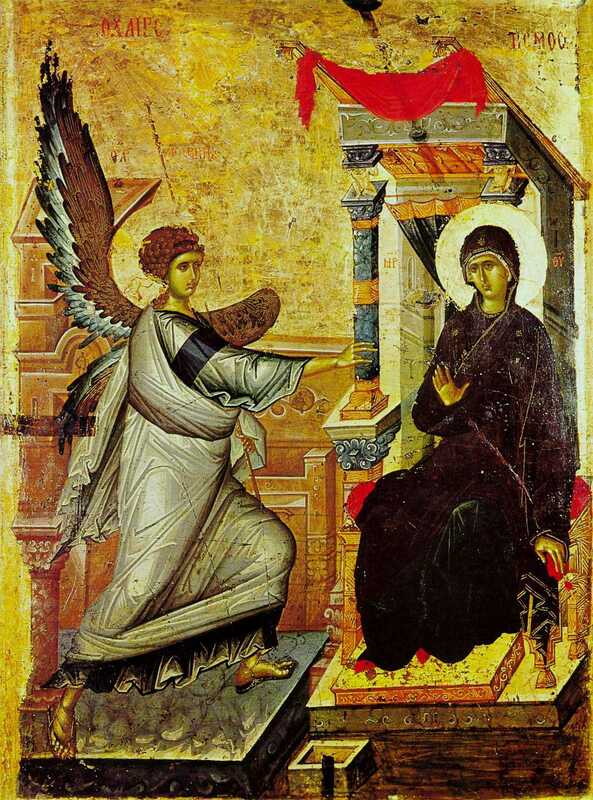 Today we understand the words of our Lord, “Amen, amen, I say to you, unless you eat the flesh of the Son of Man and drink his blood, you do not have life within you” (John 6:53). The Romans crucified thousands of people, many of whom were innocent. Yet of all these people, only our Lord Jesus Christ is remembered. This is because it is not the method of torture, or the gruesome of his death that matters, but the infinite love that shone forth from his sacrifice on the cross. This is what is important for us, we may not have to die in such a painful or unjust way, but we do have to be united in the love that God shows forth on the cross. This is what it means “to take up the cross.” I personally think that for each and every one of us, it means denying for ourselves something that we crave very earnestly, a painful self-denial, if you will, for the sake of true deifying love for God and for others. This is why the cross, originally an instrument of torture and shame, has become for us the trophy of salvation. The joy of the Fast is that through God’s love we come to the fullness of life.